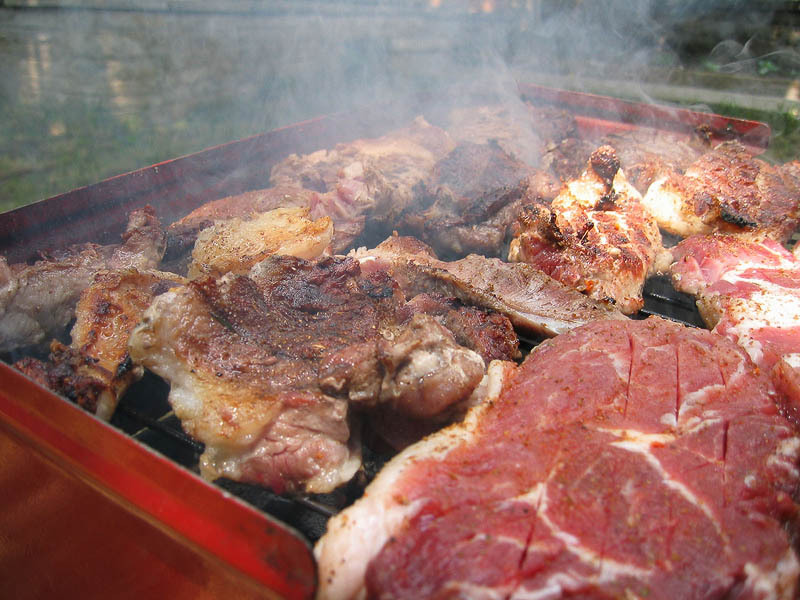 Outdoors barbecue with smoke and pork steaks grilled on live charcoals. Outside grill baked food. Tasty, juicy, tender, aromatic pork steaks.